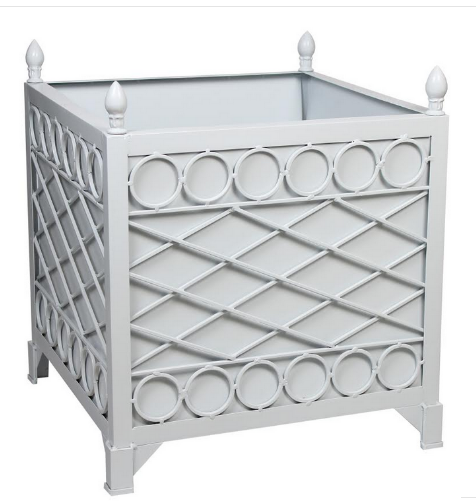 Arrival sale on Provence planters, tray tables and tole plus a giveaway! 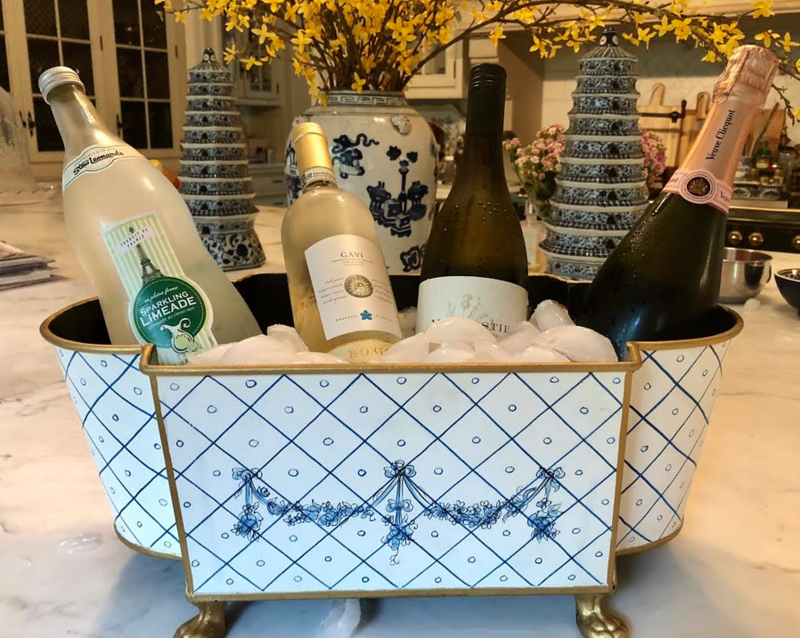 Good Thursday morning to you, we have lots going on over here and just got our container brimming with all the new Provence planters, the tray tables in both colors plus our newest large planters that are perfect for plants, flowers and it doubles as one heck of a gorgeous wine bucket. 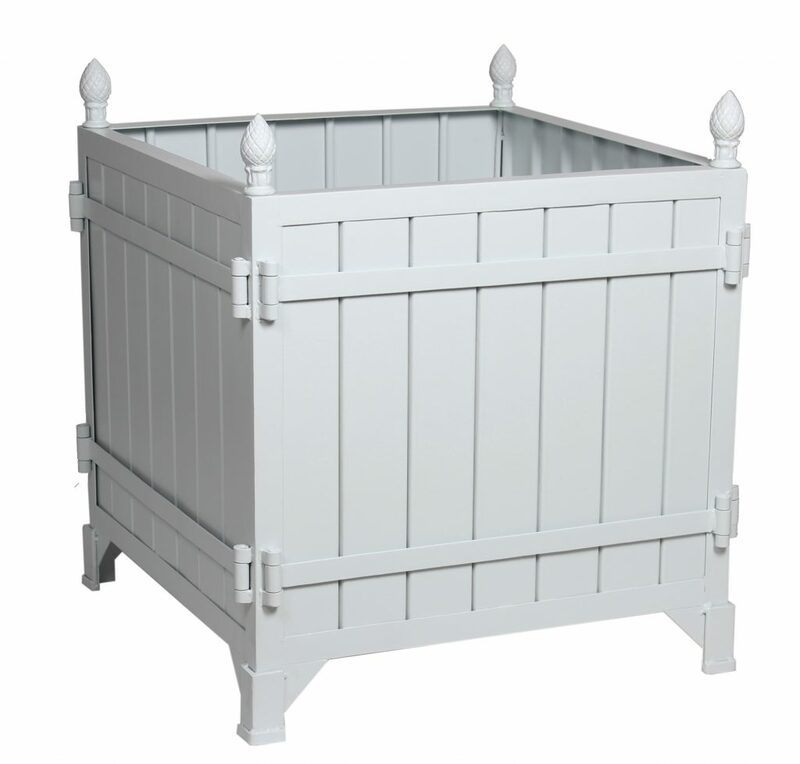 For Provence planter orders, if you are ordering 4 or more we offer a 15% discount our already amazingly low prices! ITEM 2 NEW! By popular demand! 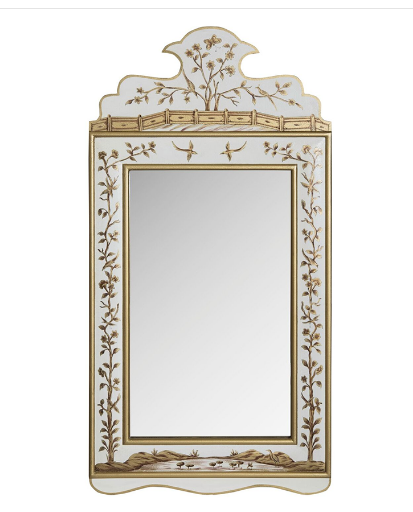 This incredible long awaited floral/vine chinoiserie mirror is such an elegant mirror, complete with beautiful gold accent detailing. 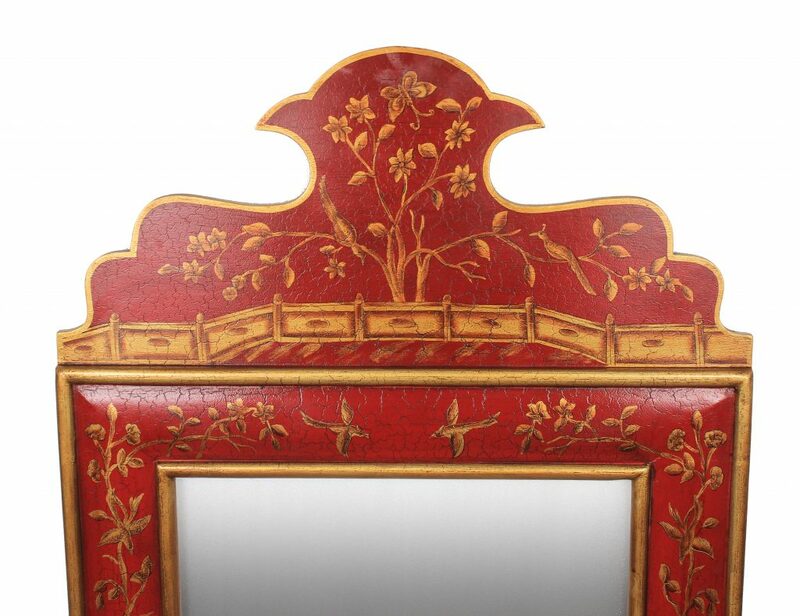 In the few places that offer handpainted tole mirrors, they are more than four times the price that these are today. 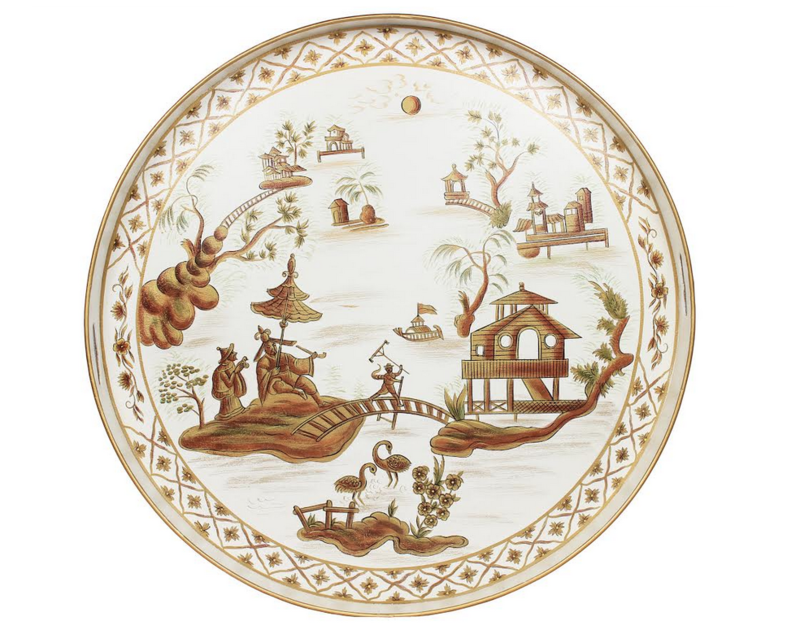 3A Stuning figurine pattern, ivory with blue and elegant gold detailing. ITEM 5 This beautiful new style has quickly become a favorite, just. in love with the design!! As with all the others, these are metal and painted in a weatherproof paint (but we always recommend spraying or applying an extra sealer). There are four drainage holes as well. ITEM 6. 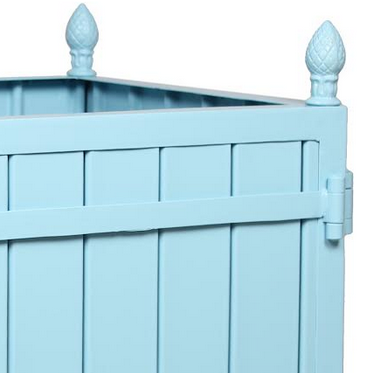 The trellis design is slightly more transitional in style and just a beautiful pattern. Very elegant with such wonderful styling…all you need is a beautiful healthy tree/plant and you are good to go! Same features as the others, with four drill holes. ITEM 7. NEW!! 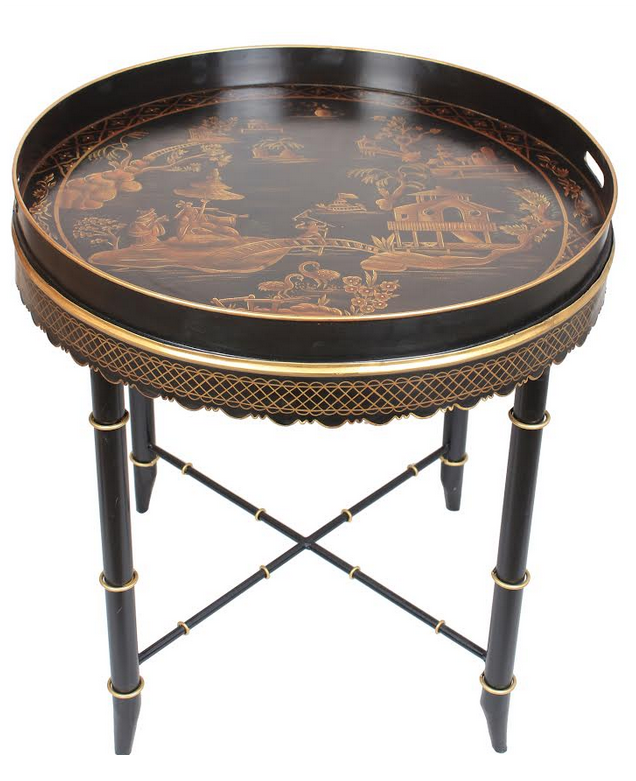 Our fabulous tray tables are incredibly beautiful…..so much more in person if you can believe it. I love them and they are a classic that will be part of my line permanently! Offered in two beautiful color combinations, blk/gold or ivory/gold. Love the bamboo legs, beautiful, elegant and functional. 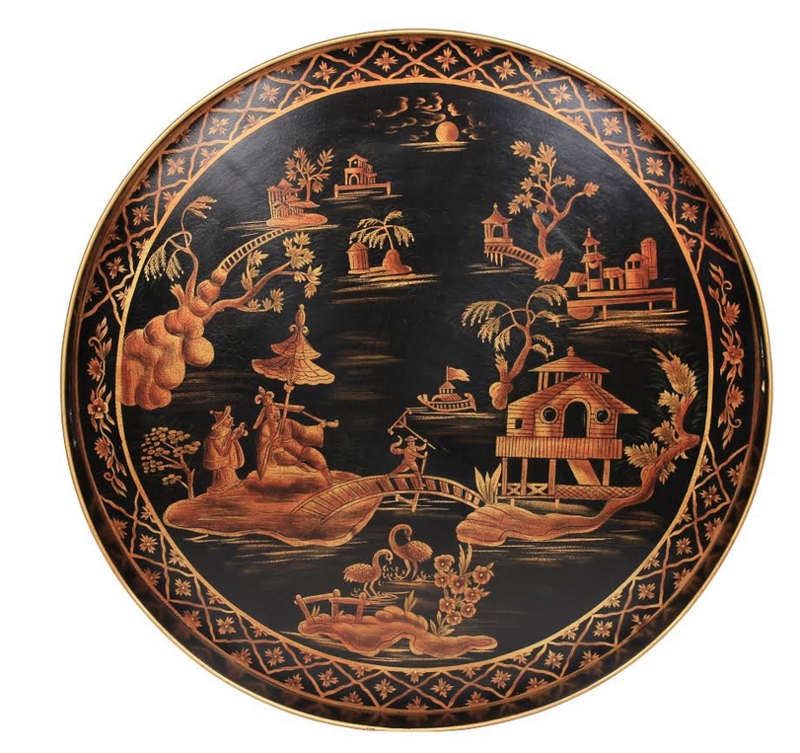 Includes removable top round tray (24.5″ round) that can be used separately. Ideal for use as an end table or a convenient tray table,one client is using it as a bar…love that idea. The tray comes off for entertaining and serving in a most grand style. A truly multi functional item offered in two colors. This is your chance to get a steal on a few items we have only 1 or 2 left of. Whatever does not sell will go into our next warehouse clearance. We are cleaning out the shelves to make room for many incoming items. ITEM 8A. 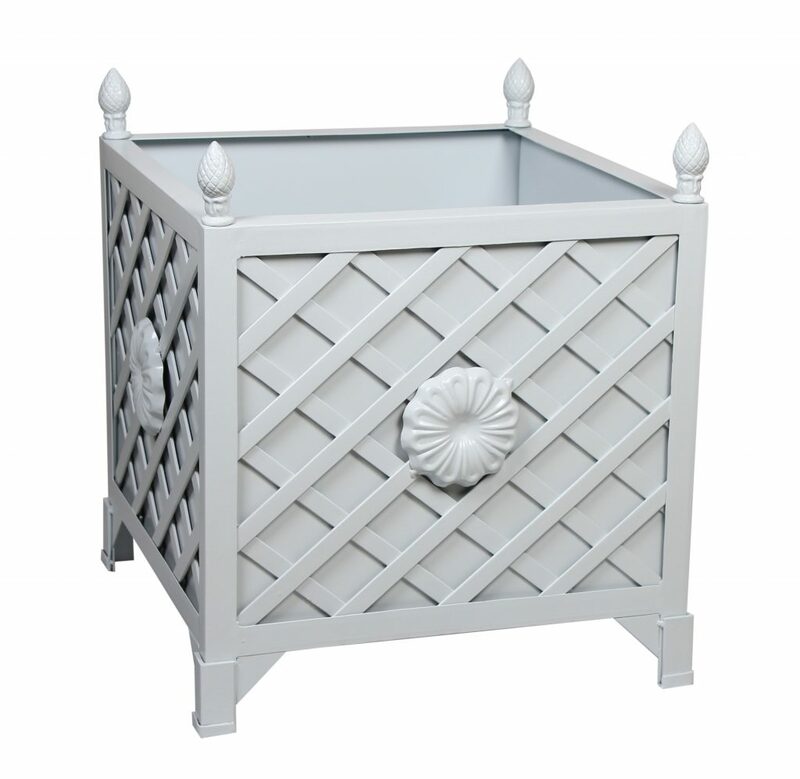 The original style Provence planter. Have only a few left of each size/style. 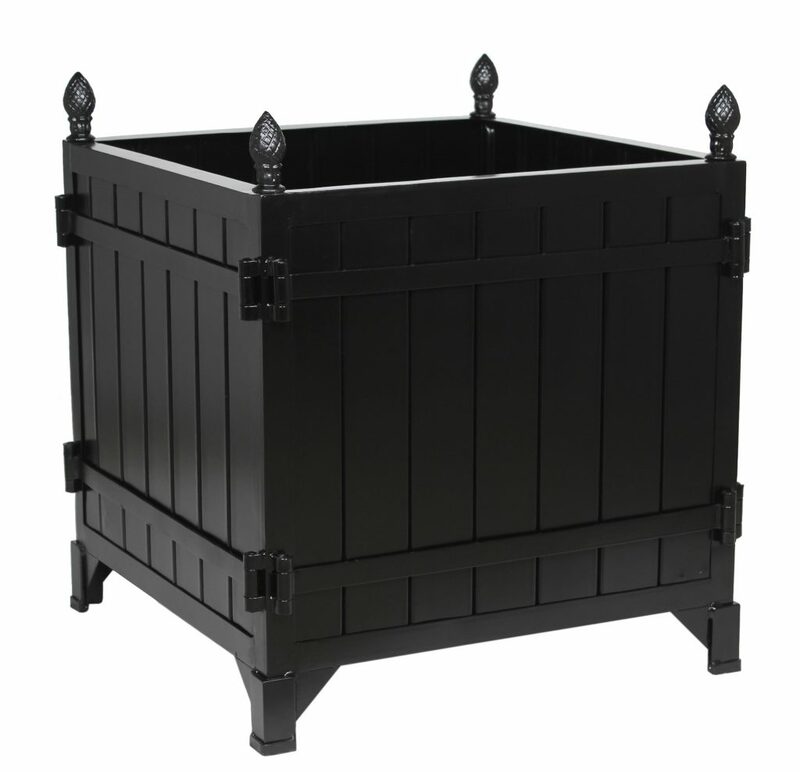 Great last call deal on these beautiful planters. Also these are easy to paint, it is advise to use a primer than any good weatherproof paint (some have used a marine type paint that is used to paint boats) and it always comes out beautifully. ITEM 8B. These were a special order and the customer only ended up needing 4 not 8 so we have 4 of these beauties up for sale! This color is called Mayflower Blue and if it happens to work for you, it is really your lucky day. 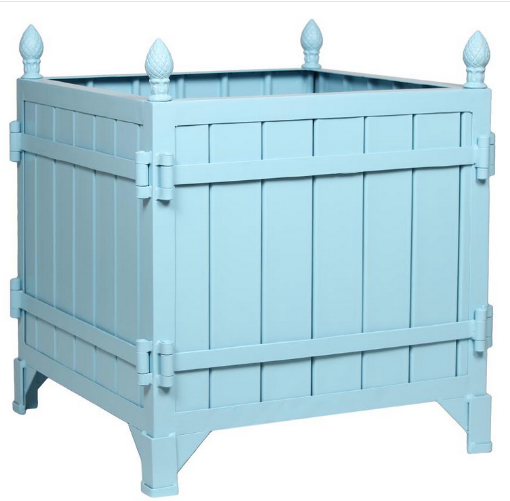 Otherwise this is a very easy planter to paint over, so if you are feeling a DIY, its a great time to take advantage of one incredible deal. 4 of these left in medium 20″ x 20″. Normally they are $405.00, TODAY they are $285!!! Take all four and instead of $1140, they will be $1050. That is the deal of the year! ITEM 10. Last of these mirrors. Great deal, one you could never find elsewhere. 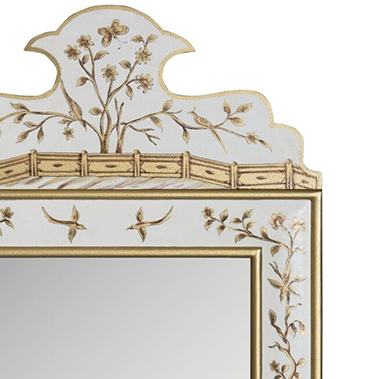 If you happen to have a place for any one of these mirrors, it is your lucky day! 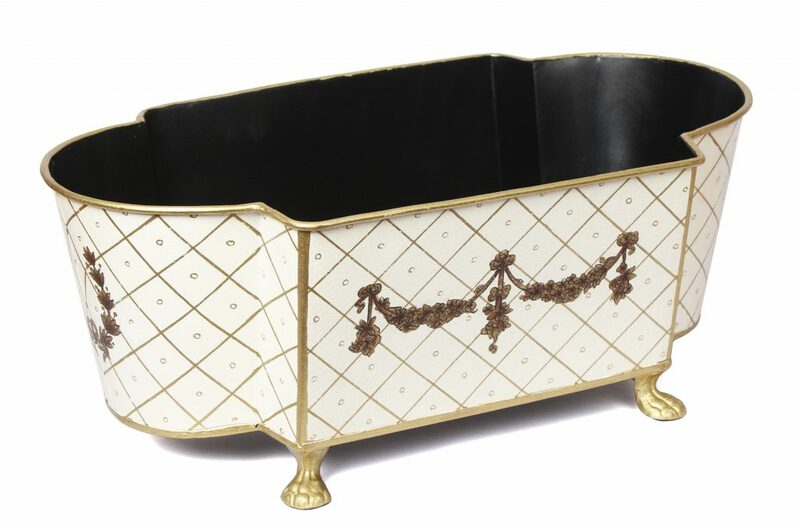 One lucky winner will win a beautiful tole planter with elegant metal pierced border rim and gold leaf feet. A true beauty, I use mine for seasonal flowers and it looks great with an orchid. All you need to do to enter is tell us your favorite piece here and how you might use it. I will choose a winner on Sunday! Love it all! 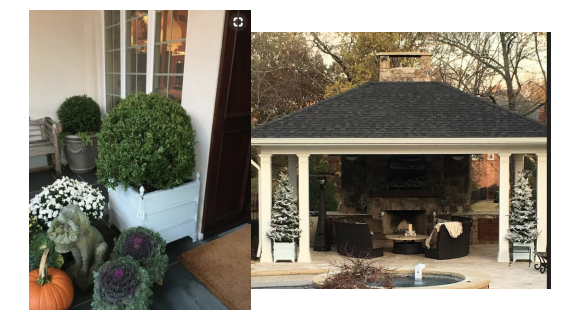 I own 2 of your provence planters and love changing them up with the season, get so many compliments on them. Love all the pieces. # 7 is one of my favorites. Trying to see where I can use this. Beautiful planters and containers. Wish I had one of each. Love Item 5 planter. Actually really like the mirrors too. Hi Tina, My son is getting married in April 2019. We are looking for your medium blue and white tulipiere for centerpieces at the tables. We would need 8-10 of them. The ones he wants have been sold out for a while. Do you expect to get more in? 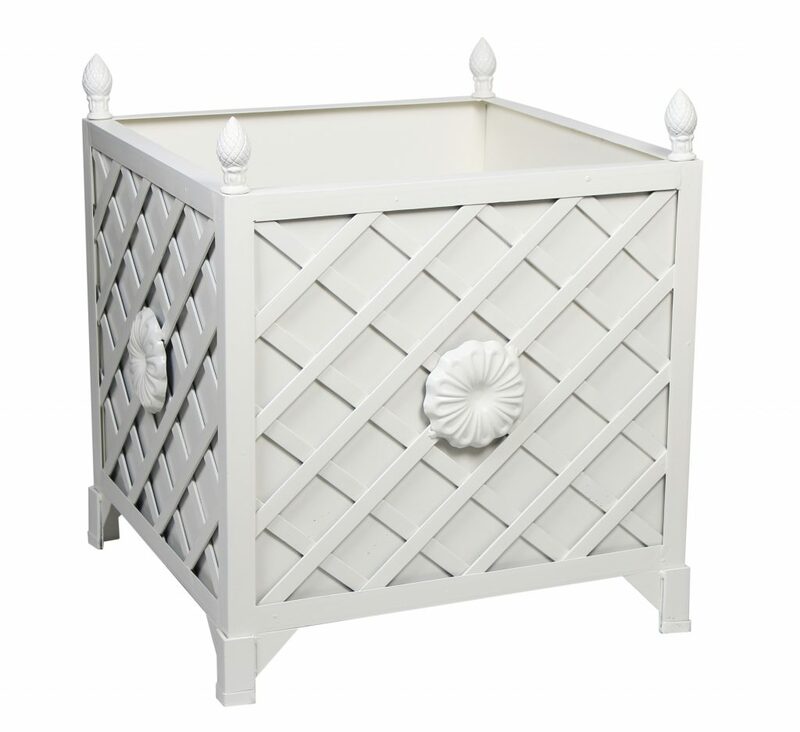 I love the new design planter, item #5 in Ivory. It is absolutely a fantastic beauty! I would put two of them flanking my front door filled with a topiary! Just gorgeous! 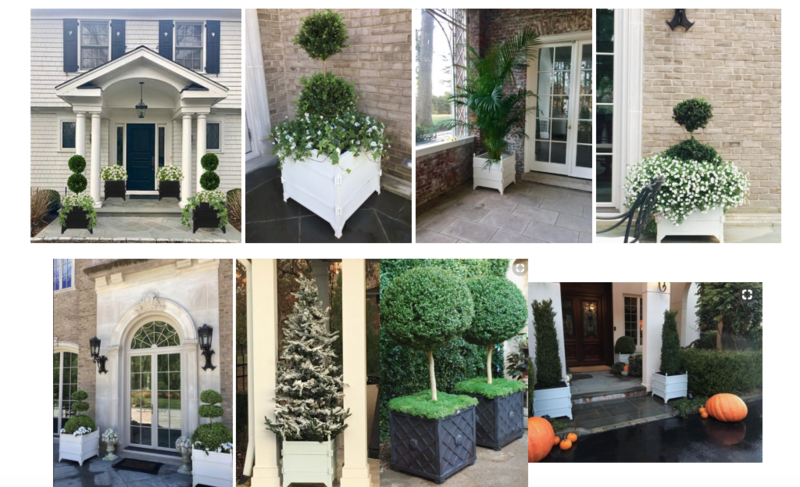 The tray tables, provence planters, the garland planters, the mirrors, love it all! 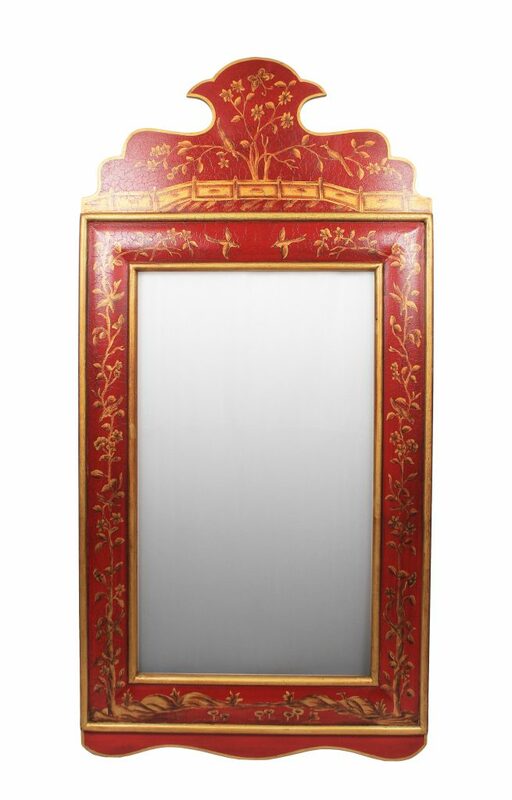 I would love to use the red/gold mirror in my soon to be renovated new powder room. 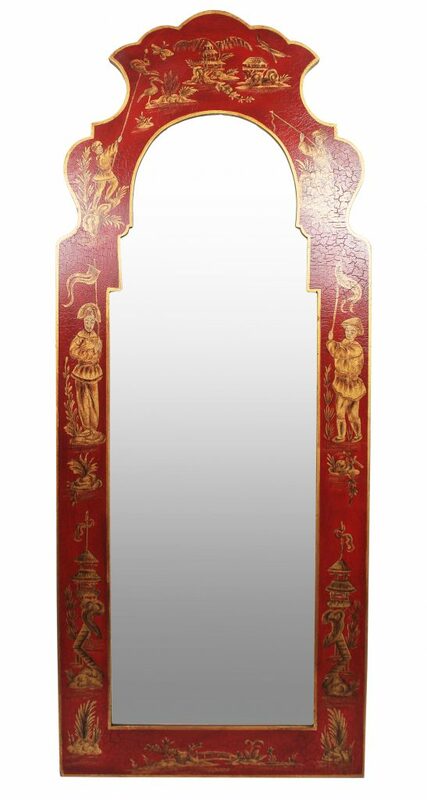 Doing a beautiful Cole and Son wallpaper in there that is gold, green and red, Think that mirror would be striking in there, going to measure! I love the planters….so pretty as is everything! Great pieces and hard to chose just one. 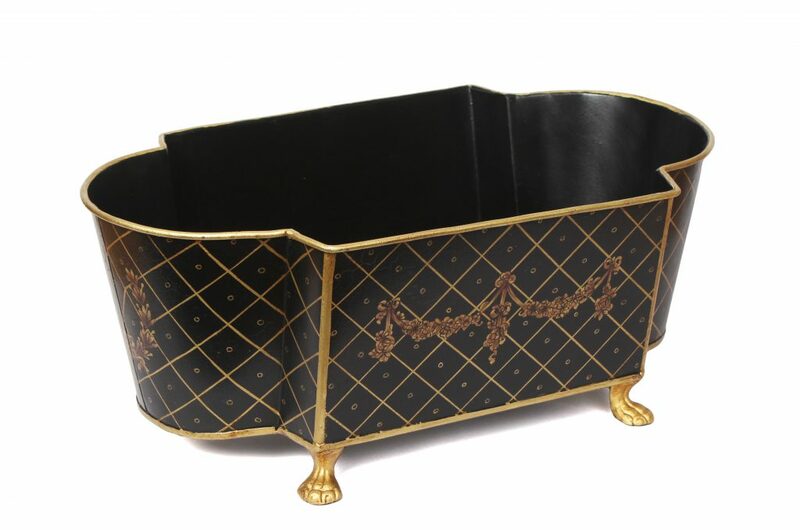 The black/gold planter however needs to come to my house to hold orchards as the planter that the florist had with them is so ugly I destroyed it as soon as the orchards arrived. I love the tole tray table. I would use it as a coffee table in front of a small Chippendale love seat in my bedroom. I also love the Chinoisserie mirrors. 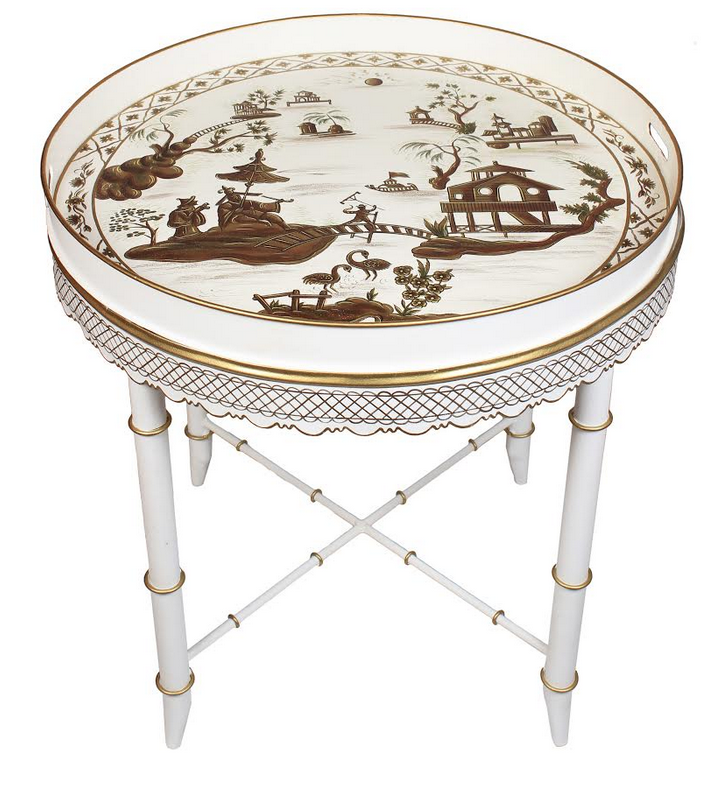 The Ivory Tray Table is just gorgeous! I would love to use it in my living room next to my slipper chairs. my fave is the giveaway, so many uses for this one….. Always difficult to choose when everything is lovely but having to choose I have to say the tray table. 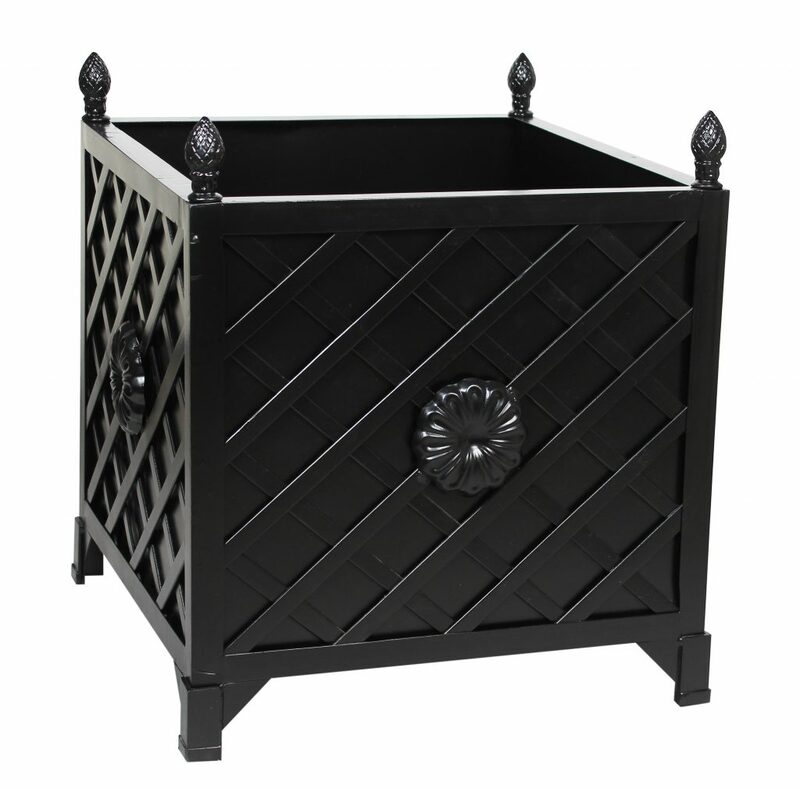 Medium planter with finials in ivory are my favorite but I also love the planter to hold drinks or flowers!!! Great idea! 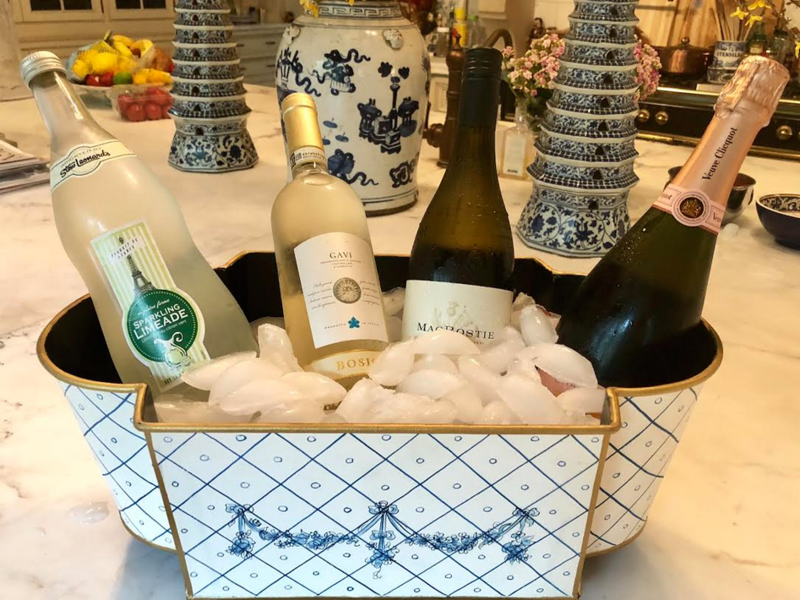 Absolutely love the planter box used as a wine bucket!! Still in love with the black tray table. The trellis and rosette planter sparked my imagination. I can see two of them planted with topiaries anchored by trailing colorful flowers. They would define the outer two corners of my tiny patio, pulling it together. 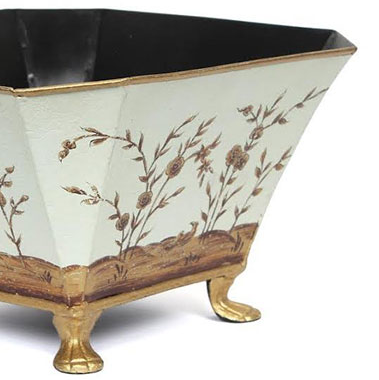 Loving the ivory and gold planter. Imagining it with orchids in our master bedroom sitting area. 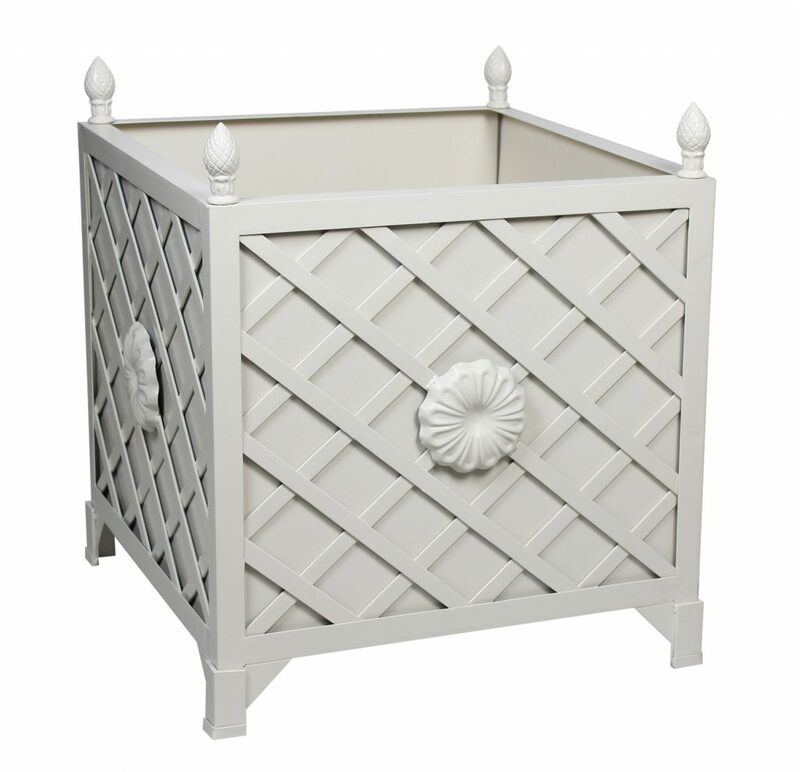 I love each and every style of the Provence planters, but am especially partial to the new style! I would put 2 eachby the front door with topiary and two on the deck and change them seasonally! Thanks for the continued design inspiration! The Provence planters are beautiful and my favorite of all. Looking for some new planters soon for House we are building. WOW! The #5 planter is so classic you can use it virtually ANYWHERE! All your offerings are so special! Everything you have posted is gorgeous! 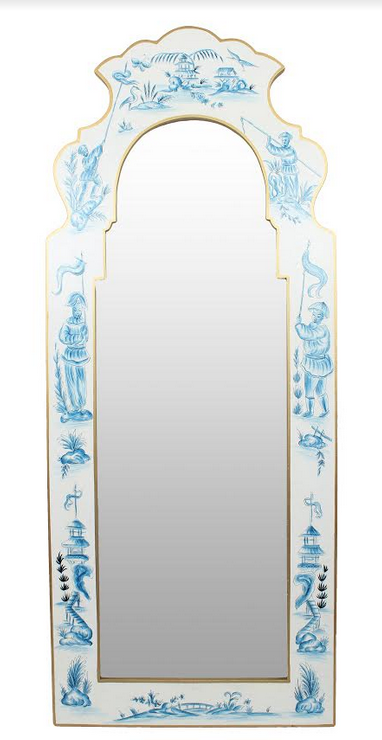 The tole mirrors are stunning!! Please enter me in the giveaway. I hope that I can win the planter. It is a beauty! I love the trellis design planters. So beautiful. 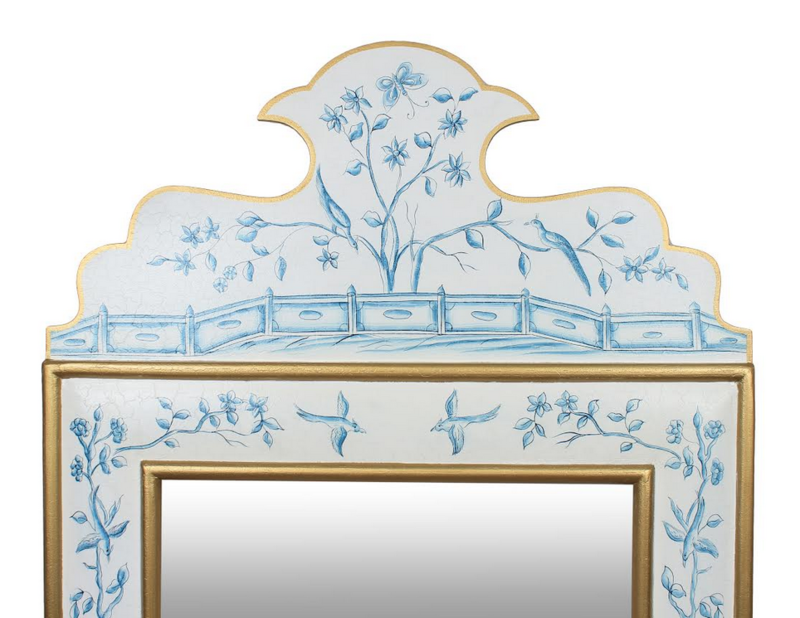 I love the blue and ivory tole painted mirror. I have so many rooms I could use it in, but it would be a stand-out piece in my foyer! So Pretty! Item 7 is amazing! 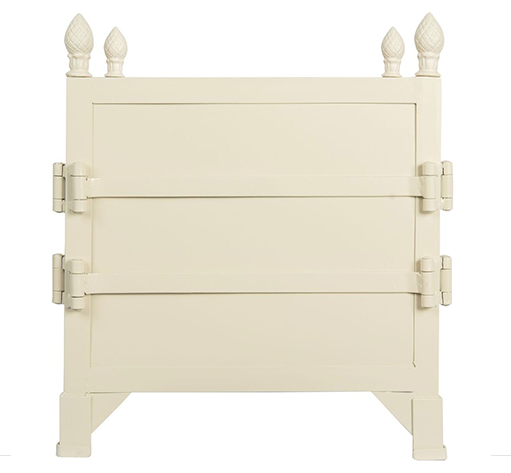 So elegant and just the right size to place next to our ivory couch in the living room of our coastal Maine home. Hi Tina, I love all your offerings, but that black and gold tray table would go beside my favorite chair to hold my reading glasses and a cup of tea! Everything is beautiful! 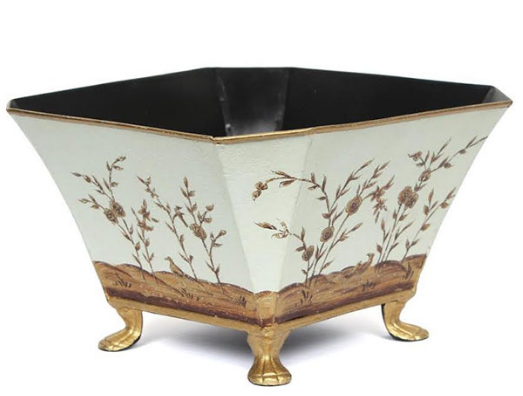 I love the tole planter in ivory/gold. Would make a beautiful centerpiece on a rectangular dining table filled with flowers. Surrounded by a few gold or ivory tapers. I love the mirrors and would love to have one in my powder room. The planters are beautiful too. 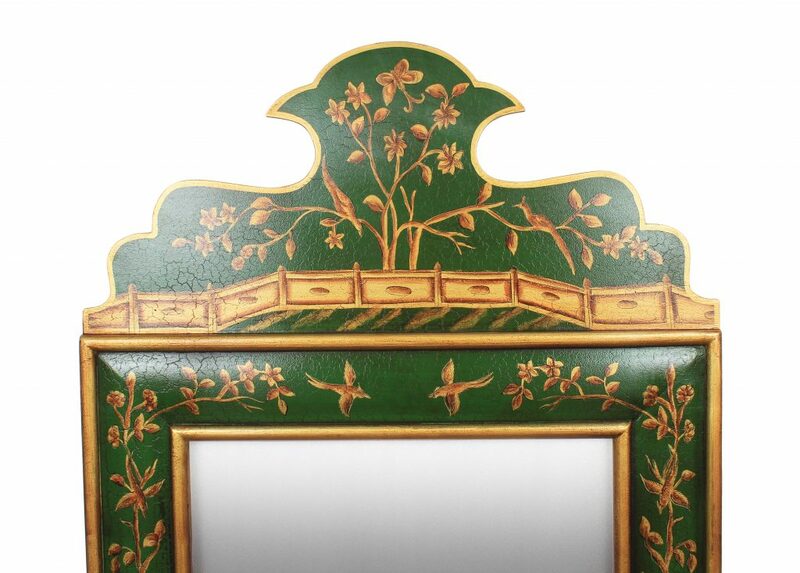 The beautiful green floral/vine chinoiserie mirror is fabulous! Beautiful items. Sent pic of mirroe to daughtet to see if she would like it. I love then ALL! 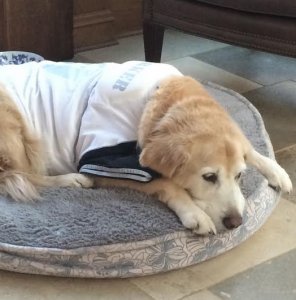 I most especially love the photo of Teddy, RIP sweet baby! I just love the table. Absolutely gorgeous! I love the rectangular Tole planter. It seems so versatile and could be used in many ways. I could see it in my powder room holding pretty guest towels, in the kitchen with drinks as you have shown and of course with flowers. Love love the tole planter is beautiful. I would use it any where in my house. One of my favorite flowers are orchids, definitely would use the planter with orchids and moss. I think I would fall over if I ever won any of your beautiful things. I will never give up trying! Number 7 in white and gold is speaking to me this morning. It would be lovely on my summer porch next to my reading chair with a glass of white wine on a summer day. Mirror mirror on the wall. The blue is the prettiest of all! 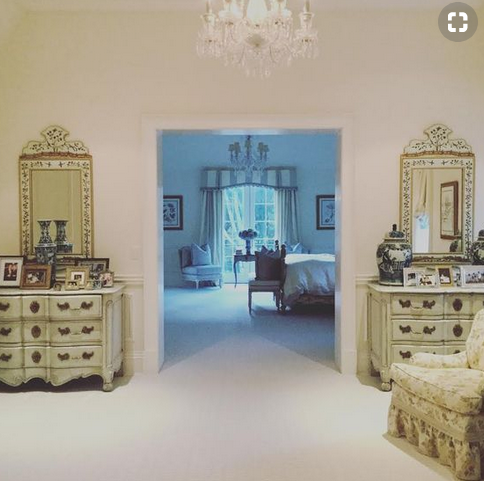 I love tole all of the pieces but my Favorite Tole piece are the Mirrors, I would place it on a foyer on top of a console, would use it as a bathroom mirror, at the end of the hallway and of course as a dresser mirror!!! The gold and cr planter is lovely! Beautiful planter post!……………love to have a pair for our place………………I like the topiary type shrubs……….just wondering how to soften the look, maybe some ivy type plant at the base. The tray table in black at the end of a sofa would be great. Love how a touch of black anchors a room. I so like the painted mirror in black – so versatile! I absolutely love the green mirror (2A). It would look fab ha going in my bathroom. Tray tables are so useful during the summer months on screened porch; a touch of class! On another note……Noticed you have a Macrostie Chardonney. Excellent choice for chardonneys and sav blancs! Their property is beautiful with great wines especially those by Kent Ritchie. Looks even better in your planter! Love the #1 tole planter quite versatile. Beautiful arrivals as always! I love the provence planters. So elegant & would look great anywhere. I adore the 10A Black Mirror – it’d look stunning anywhere in my house but I’d put it in my entryway! Either #1 or #9 for my guest room filled with toiletries or water & snacks & reading material. 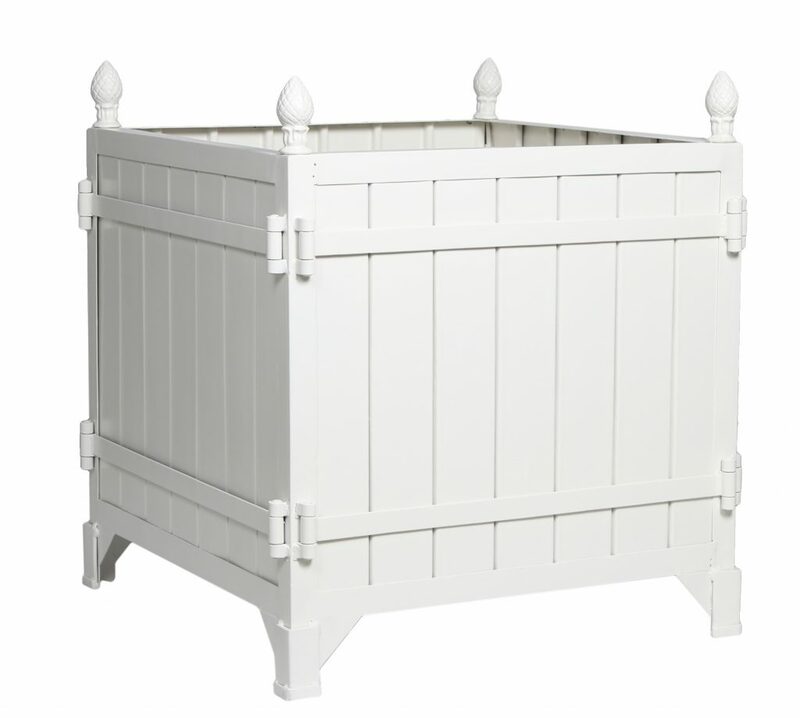 I love the ivory and tole planter! I’d use it in my kitchen to hold my fresh herbs! 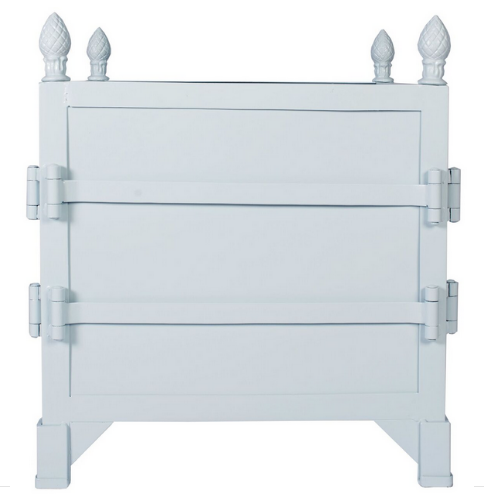 While I like EVERYTHING today, I am picking 4A Provence l planters. Perfect for my home décor remodeling of deck and patio by the lake. Will use for lemon trees we are planting. And, bougainvillea. Love the blue and white mirrors. Love the Ivory and blue mirrors. 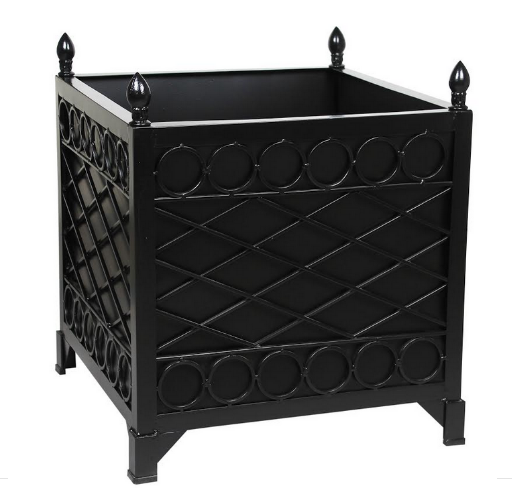 My favorite piece is the black lattice planter. I would use it in my front covered entrance with a topiary or small tree. What a great place for guest towels in the powder room! Love it! Love the new designs for the planters. They are like garden jewelry. 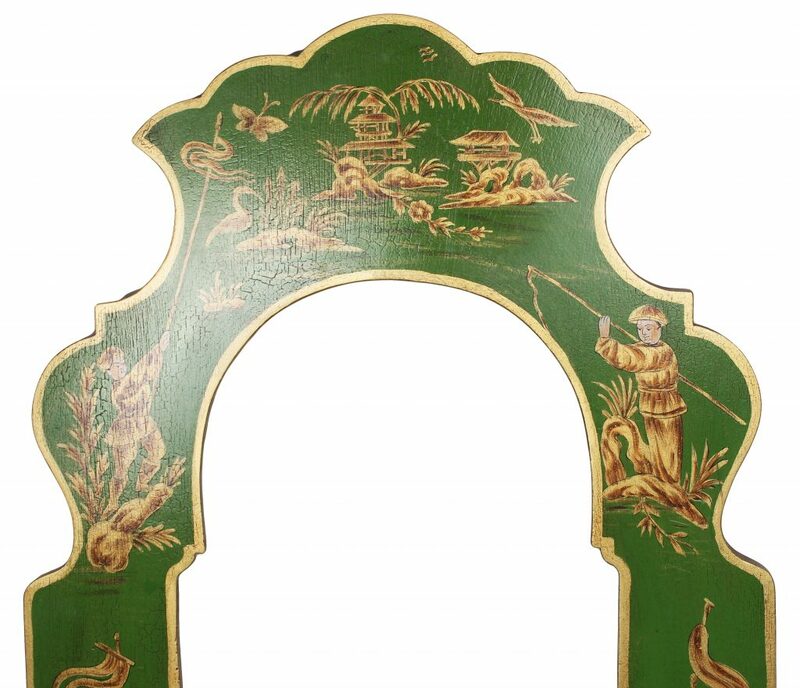 vine chinoiserie mirror. Love the green. Can see it in my foyer. 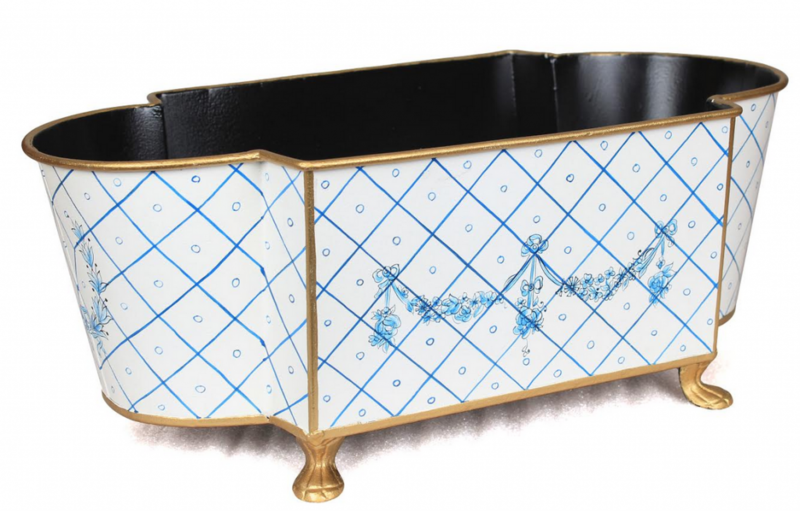 Love the flexibility of the tole planters… the ivory and blue one is my favorite! 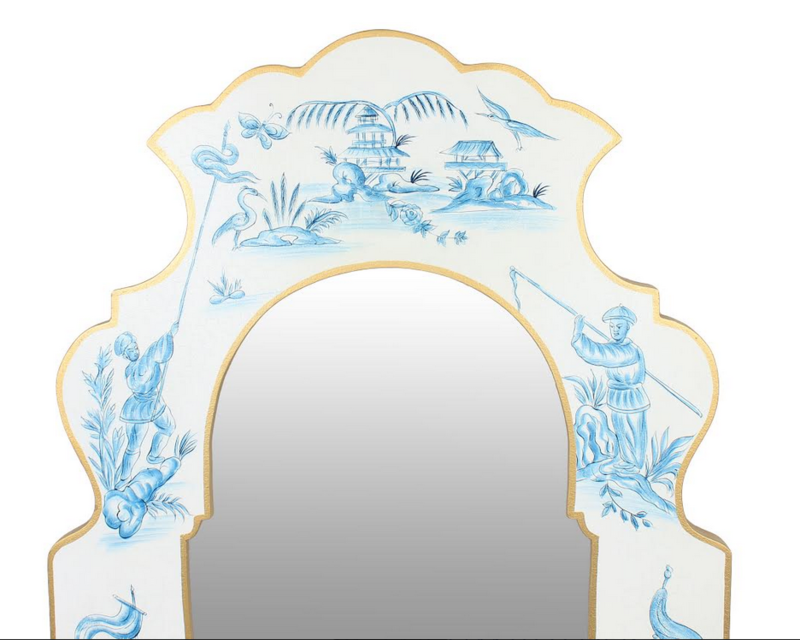 I love the blue and ivory mirror and the tole planter. 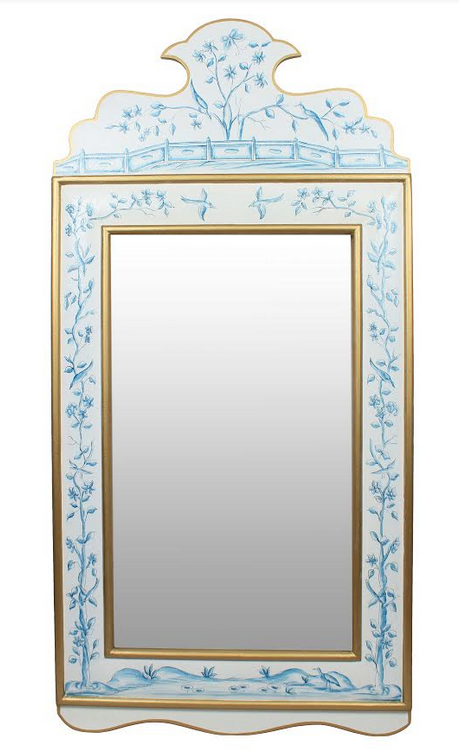 I would hang the mirror above and place the tole planter with an orchid on the bachelor chest in my Santorini blue living room. I love your tole pieces! The number 6 trellis design is so pretty. Ivory would be the best for me. Love it all. The planters are still my fav…. Would love to fill with lemon grass! Everything here is so beautiful, it is hard to choose a favorite. I do love the planters, especially the trellis ones. I like the ivory/gold planter. We love to have wine and cheese parties and this would be great! 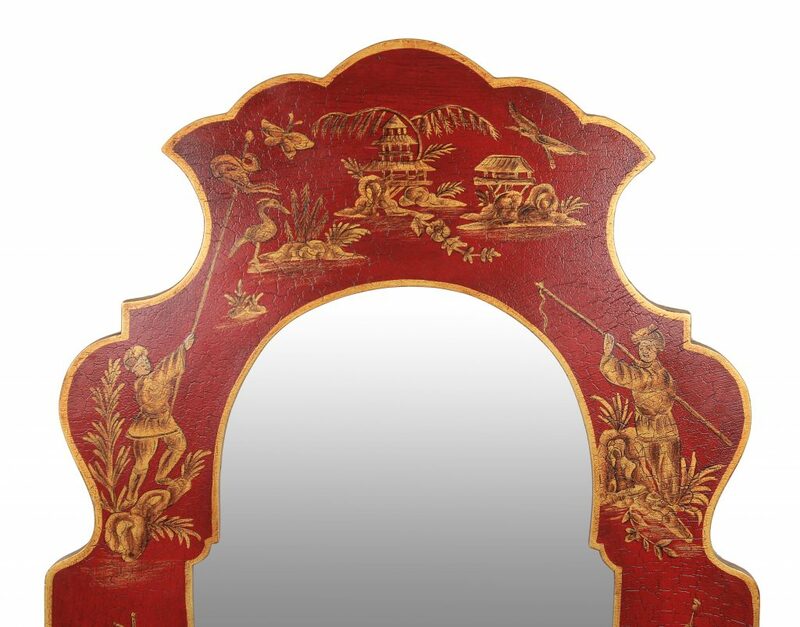 I love the floral/vine chinoiserie mirror. 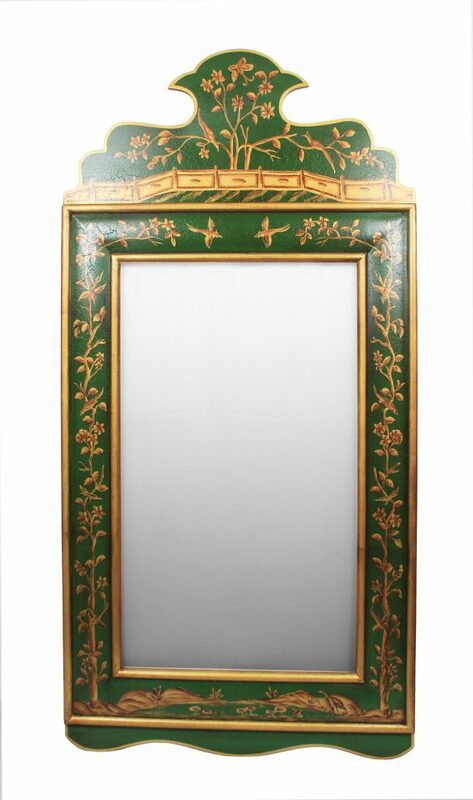 They would look great as vanity mirrors for an upcoming bath remodel! Everything is beautiful. I really like the tray table in ivory/gold. The mirror is gorgeous also! The tray tables are beautiful. I would love to have one for my living room! I adore the mayflower blue planters! I love them all. It is hard to choose a favorite. Thank You for the giveaway. I happen to just adore the planter you are giving away, it is so stunning! I would definitely fill it with hydrangeas. Too many favorites to choose just one. 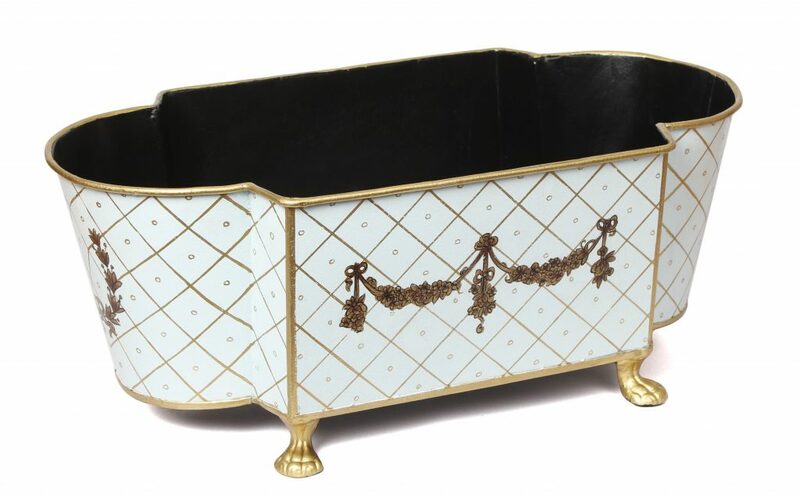 The ivory and gold planter still my fave! 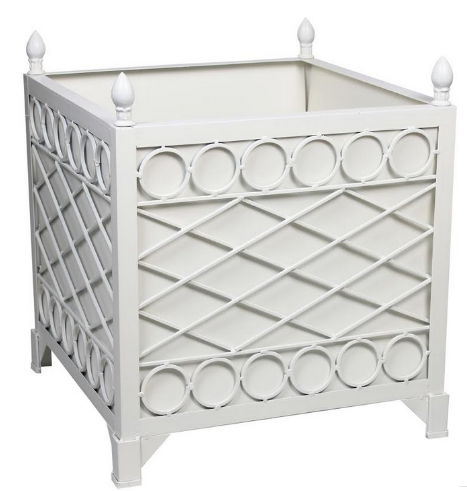 Multiple uses but really want to fill with hand cloths in powder room! 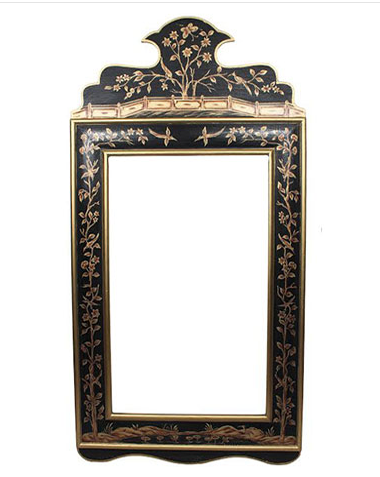 LOVING the BLACK PAINTED TOLE MIRROR….would look perfect over a French desk/vanity. 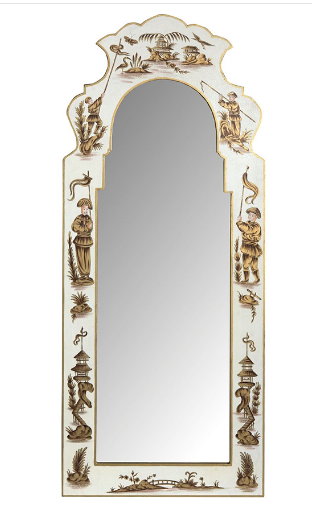 The black tole mirror (10A) is the perfect complement to the guest bathroom. Would have absolutely stunning. Everything is so lovely as always!! Any of the Provence planters would look great on my deck.